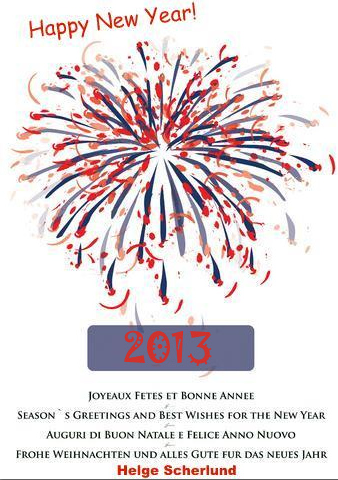 I would like to take this opportunity to thank all my readers and subscribers for your support and I hope that you continue to support my eLearning News with comments, suggestions in 2013. Janice Wood, Associate News Editor reports, "A new study shows that 94 percent of Israeli high school students accessed social media on their phones during class." Researchers at the University of Haifa said that just 4 percent of students reported not using their cellphones at all during class. ﻿The study, conducted at the University of Haifa’s School of Political Sciences by Dr. Itai Beeri, included 591 pupils in grades 9-12 and 144 teachers of various subjects in three Jewish high schools in Israel. About 94 percent of the pupils admitted to accessing social media or file-sharing sites, such as Facebook and YouTube, during class, from time to time or even more frequently. Some 95 percent take pictures or make recordings during class for non-study purposes; 94 percent send e-mails and text messages; 93 percent listen to music during class; and 91 percent actually talk on their phones during class. The researchers found that cell phones are used more frequently in humanities classes than in math and science classes, and as the difficulty of the subject matter rises, cell phone use goes down. Age also influences cell phone use: 10th graders use their phones in class most frequently, while 12th graders use them the least. All those people who think learning for kids is synonymous with dull and boring - get ready to have your beliefs transformed! IMP Interactive is here to add a touch of entertainment and adventure to the whole concept of knowledge acquisition and assimilation with its latest Kids Learning Apps. Watch your kids have fun while they grow and soak up on various life lessons and acquire basic logic skills like reading, speaking and counting with interactive iPad Apps from IMP Interactive! Initiate your kid's journey onto the path of learning with Great Bible Adventures, Monsterfacts and The World of Fairytales - the three new Kids Learning Apps from this leading online publication house. When it comes to the multinational literary and publication industry, International Masters Publishers is one name that requires no introduction. With their presence across 35 countries and a 40 year long history of being in the business, they are considered by many as the industry leader. Truly a treat to the reader's mind, the company's publications are considered to be a cut above the rest because of their well written content, interactive presentation, beautiful photography and various imaginative illustrations. "Remember when you used to hear those tales from your grandparents in your childhood? Those values and morals are still stamped on your memory aren't they! Such is the power of interactive learning. It allows kids to assimilate various important life lessons and hone their basic logical abilities. And these lessons stay with them for the rest of their lives!" explains Mathias Tonnesson, Creative Head, IMP Interactive. "Now we know we cannot recreate the whole story-telling experience you had with your grandparents, but what we have may as well be the next best thing! Watch your kid learn and grow, improving his/her reading, speaking and counting skills along the way, with IMP's Kids Learning Apps. Learning was never this much fun!" Great Bible Adventures, an app that imparts important moral values to kids in an interactive and engaging manner, through fascinating bible stories that make learning important life lessons easy and fun. Monsterfacts, that brings nature's scariest monsters thrillingly to life with stunning illustrations and clear, factual text and also promises to teach the kids a thing or two along the way. The World of Fairytales that offers a charming series of the much-loved classic fairy tales along with some enchanting surprises. View presentation videos at http://www.multivu.com/mnr/58665-IMP-interactive-kids-learning. The products feature content that has been hand-picked to develop the learning and visualization abilities of children and to help them harness their innate creative strengths. All the three products have been connected via Famloop which gives parents and invited family members a possibility to encourage their children to improve their learning skills by interacting via their Smartphones or iPads. International Masters Publishers is an established name in the world of online publications. For 40 years, they have been publishing high quality collections for the home and families on a variety of interesting topics. IMP Interactive is the digital subsidiary of International Masters Publishers and are engaged into designing various interactive apps and magazine for iPad, iPhone, Kindle Fire and Android. 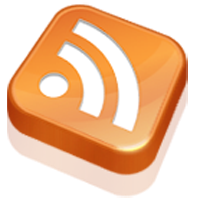 Free online courses on everything from Microsoft Word to making cookies are a mouse click away thanks to the Wethersfield Library. Residents can learn the basics or polish their skills in more than 500 subjects through two services offered on the library's website. The two services, Universal Learning and Learning Express, allow users to sign in and take courses at their own pace. Instruction typically includes written lessons that the user learns and reviews, followed by tests. Offerings from Universal Learning range from math, science and business courses to lessons on the Civil War, cooking and spiritual growth. 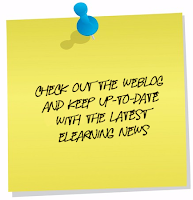 Students have six months to complete the course and may sign up for as many as five at once. To take the online courses, visit the Wethersfield library website at http://www.wethersfieldlibrary.org/. 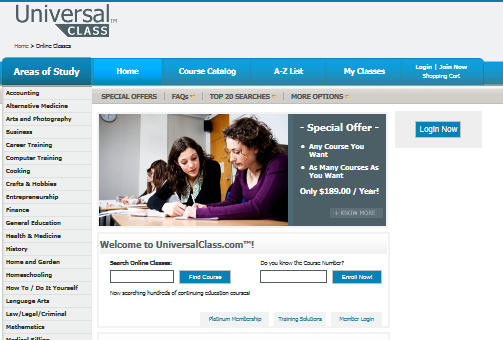 Universal Class, Inc. [also known as UniversalClass™ or UniversalClass.com™] provides online continuing education courses to schools, libraries, companies, educators, and individuals throughout the world. It aims to advance intellectual exchange in teaching, research, and service with its technology and belief that lifelong learning should be affordable to all people of all cultures. With a growing course catalog of over 500 online classes, Universal Class is committed to providing only the most affordable and highest quality continuing education. Over 300,000 students around the world have benefited from Universal Class' unique instructional technologies. With streaming video, website avatars, insightful instructional content, helpful tutors, and a social networking experience, Universal Class offers an engaging and measurable learning experience that helps students master and document their educational goals. 6. 10 Tech Skills Every Student Should Have? I hope you enjoy these free resources! 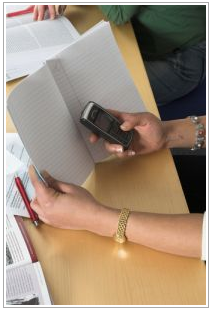 "The enigmatic pi used in mathematics need not be made tedious for students. They can decipher it through creative ways, writes M A Siraj." reports Deccan Herald. Numbers are integral to our life. In this age of fast automation, there is no escape from them. Numeracy is part of literacy. With each passing day, more and more numbers would enter our life as digitization gains pace. Years ago, Doordarshan ran a 42-episode serial titled Chauraha aimed at promoting literacy among the rural womenfolk, slum dwellers, the dhaba workers, artisans and peasants. A Bangalore-based organization, Brainstars has come up with ‘NumberNagar’, a uniquely designed Math Activity Centre for students from 3rd to 7th standard or 8-13 age group. The prototype—in a 15 feet by 15 feet room—is designed to take the children on an imaginative voyage where they experience mathematics. One enters the NumberNagar through a door at the zero mile signpost. 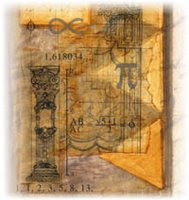 A series of magnetic cards bring to life the history of mathematicians, several among them being Indians. A wall-mounted ‘zero suitcase’ illustrates the most notable contribution of Indian mathematician i.e., zero which enabled the world to crunch numbers that ran unwieldy till then due to use of Roman numerals. Ratios and the proportions of human body so ably explained by Leonardo da Vinci through his Vitruvian Man enclosed within a square overlapping a circle lets a student explore the wisdom embedded in the diagram made in 1490. Next comes the piece de resistance: a city map with civic paraphernalia like the lamp posts, jogging tracks, water towers, public taps, a jumble of domes, gopurams, minarets and spires of places of worship, traffic signs, pushcarts, mobile eateries, are etched in visuals. Says Anupama, Prakash, President, communications of the Brainstars, the city map is hoped to inspire students and teachers to the possibilities of mathematics in various concepts in the city. “The map is not intended to be drawn to scale nor a comprehensive and representative map of urban space. Instead, it distorts distance, size, symbols and scale to facilitate the viewer a deeper, analytical and reflective experience of the city”. 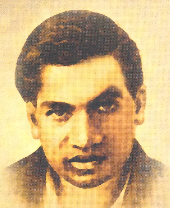 NumberNagar was launchd on December 22, the 125th birth anniversary of legendary Indian mathematician Srinivasa Ramanujam as the dusk settles over 2012, the year dedicated as the National Year of Mathematics by Prime Minister Dr. Manmohan Singh. Launch will take place at Freedom Park. 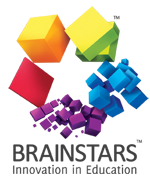 BrainSTARS is an organisation dedicated to fostering and nurturing the movement of Science and Maths Education in India. We act as the bridge between the formal education sector and innovative educational research. We continuously explore the demands and conditions of contemporary Science and Maths education in five environments - school, college, professional science/ math education, community science/math literacy and government policies. Based on our studies we create educational solutions through products and programmes that significantly address and fulfill the Science and Maths education challenges in any environment. Number Nagar is a hands-on, unique Maths activity centre developed by BrainSTARS with inputs from researchers, educationists, pedagogues, artists and space designers. It takes maths off the school chapters and connects it to the city our children live in so that mathematical concepts are no longer alien entities but an exciting daily experience. The visual and tactile experience of the city we live in. How does the city animate a child`s curiosity for patterns and happenings, shapes and proportions, measurements and calculations - all conceptual mathematical areas that penetrate our daily urban lives in astounding ways. Conceptual learning of Maths by applying it to the familiar and the everyday. Enabling the children to communicate their understanding of Mathematical concepts by sharing their works in groups and listening to each other for feedback and insights. We have developed NumberNagar for visitors of all ages and levels of math ability, but with particular relevance to children in 3 - 8 standards (implementing school curriculum across school boards). We provide in-house facilitators (or teacher training) and support system for all NumberNagar installations. NumberNagar is scalable to serve any geography. Please visit us to examine the prototype. Smart! But can it make your child learn better? Mathcad Express – free to use forever! Does the use of Twitter Improve Education?